Bobby Thompson was quintessentially a North East comic who packed the venues around the region with his sharply observed characterised wit and repartee. His material never strayed far from his roots and the shared common values with his audience meant he was performing from the 1920s up to his death in the 1980s. In a finely tuned tribute, Pete Peverley brings the show that he has created back to the Theatre Royal. The timing of the show coincides with the 30th anniversary of Bobby’s death and whilst much has changed in the region, Bobby would still recognise the hardship facing many. Born on the 18th November 1911, Bobby was a member of a large family in the Durham coalfields. The hardship that would define his routine was never far away, especially as both of his parents had died by the age of 8. Along with his siblings, he quickly found the need to earn cash and his first stage appearance resulted in winning a very nice pocket watch. He also followed his brothers, for a while, down the pit. However, it was as an entertainer that he was to find his niche. Pete Peverley was originally asked to perform some of Bobby’s routine back in 1988. Over the last 30 years he has tightened his interpretation of the live act. We had seen the show previously at the Theatre Royal but this was even tighter still. Pete has pulled off Thompson’s strong County Durham accent. His comic timing had the theatre crowd laughing at regular intervals though the audience nearest us was actually laughing most at the caricature of the club singer. This segment was a well observed stereotype and it gave much pleasure with the sound of the house band. Pete is right, the organist could really murder the hits of the day. The show covers the highs and lows of a man who performed on radio and TV. He even topped the LP charts keeping the soundtrack of Grease off the top spot in the North East charts. You feel both the pressure of a man trying to survive against a barrage of personal demons and the difficulties for those close to him. Pete Peverley has done his research well and his engaging manner maintained the rapt attention of the Theatre Royal crowd – this is no mean feat in a one man show. You also witness Pete getting changed rather a lot as he moves from one Bobby Thompson outfit to another. Bobby was a character performer and in order to keep his show fresh and relevant he had to adapt and keep writing. Even if that meant writing a sketch about meeting Mr Hitler in his local chip shop. The show is part history lesson – as we learn about Thompson in the context of larger local and world events – and part stand-up routine as Pete Peverley presents Thompson’s greatest lines. I’m sure Thompson would be pleased to see his work is still packing them in at the Theatre Royal. 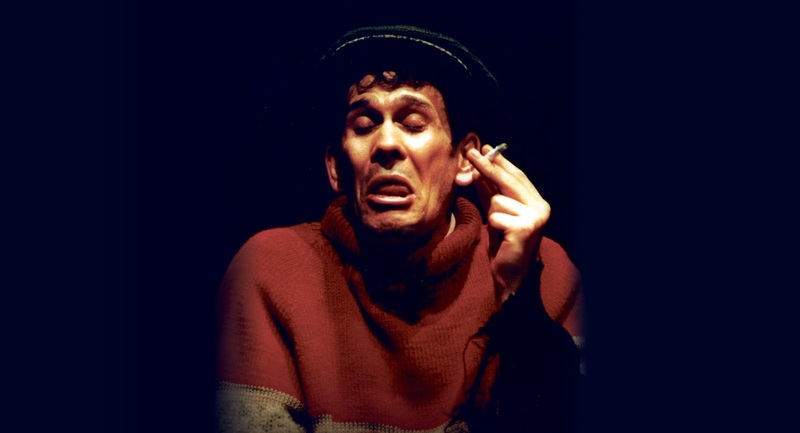 The Bobby Thompson Story appears at Newcastle Theatre Royal Friday 16th& Saturday 17th March 2018 (Evenings: 7.30pm, Matinee: Saturday 2.30pm). Tickets are from £10.00 and can be purchased from the Theatre Royal Box Office on 08448 11 21 21 or select your own seat and book online atwww.theatreroyal.co.uk.